On the web, on e-shop, social network, or in a shop, you'll inevitably the heart for rugs. Adding a little more heat to the room, the rugs sets the tone in the decoration and often determines the mood you want to create in the room. To choose it, it will take into account the colour of the room where you want to install, but also the style of furniture, if light wood or dark wood, if the seats are covered with a cloth patterned curtains or grow with it. The idea is to create a beautiful harmony, each decorative element account. 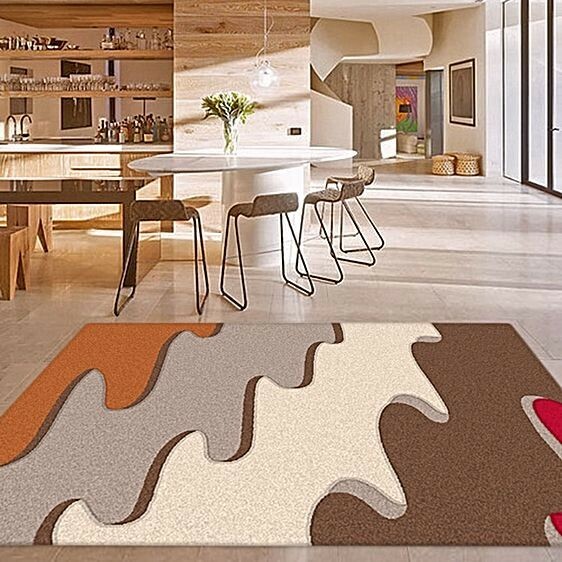 For choosing the rug, it is important to give the shape of the part and its surface. For example, avoid rugs in a small room, making the space even more cramped. In a small space, it is best to let the apparent soil and cover it slightly in the center. As for patterns or colours, small parts prefer neutral shades and united mats that do not clutter the surface. The large rugs are more suitable for large rooms. These have the advantage of letting you express your creativity as they offer the freedom to play with colour and patterns. This is a large room that you can install a large rug pattern patchworks or neon colours and eccentric. A large space has more possibility of development and offers more choice in terms of rug. About the exact dimensions of a rugs, so it does not invade the space, observe the rule that the surface of a rug does not exceed a quarter of the room. Otherwise, the rug could stifle the room. If you want to have the rug under furniture, under a sofa, a buffet or as a coffee table, make sure it exceeds both sides (50 cm minimum).